A celebration of Volkswagen’s iconic place in American culture. Volkswagen wanted to introduce the all-new Volkswagen Atlas, their first-ever 7-passenger SUV, to media, influencers and VIP guests in a memorable way that would also celebrate the VW brand’s iconic place in American culture. 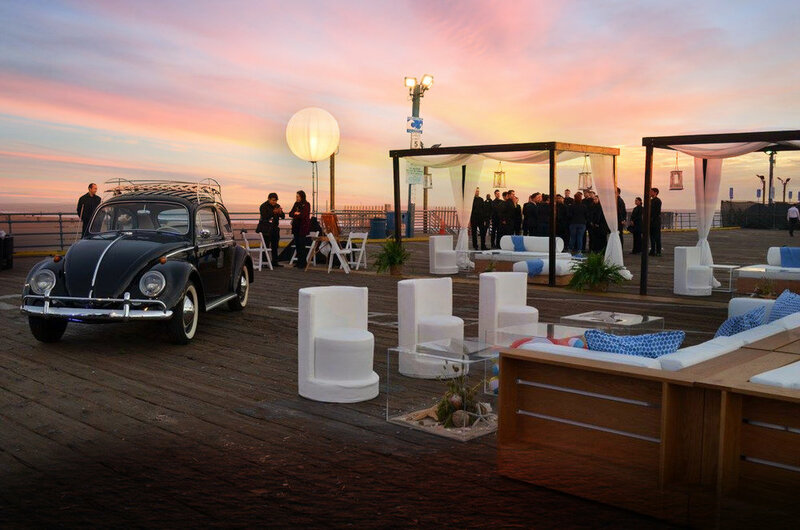 We hosted the event on Santa Monica Pier: the endpoint of Route 66 on the California coast, complete with a roller coaster and Ferris wheel. It doesn’t get more all-American than that. And to this idyllic picture, we added displays of classic VW vehicles and décor that recalled the California beach scene of the 60s. A giant clear-span tent housed a colorful, custom-built set where the all-new Atlas made its debut along with top-notch live entertainment.